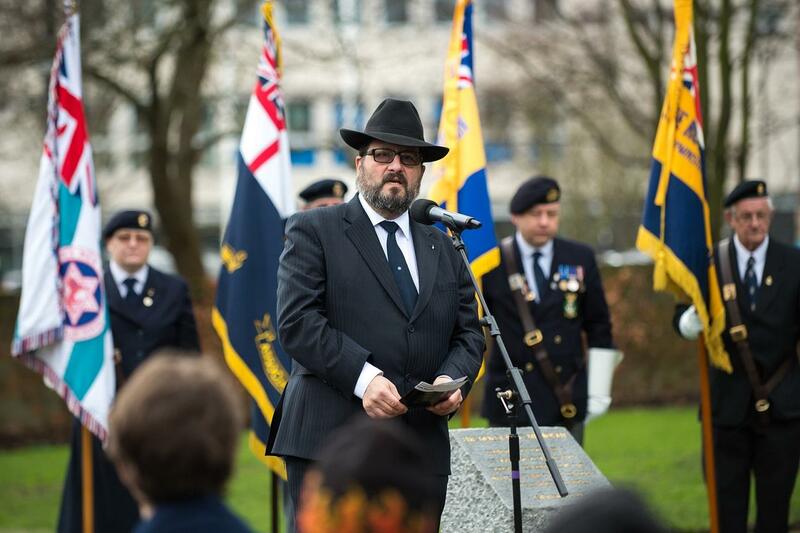 Led by Rabbi Lee Sunderland, Rabbi of Romford and District Synagogue, the service was held in Coronation Gardens, Main Road and focused on this year’s Holocaust Memorial Day theme – Torn From Home. Following the service, a reception took place at Romford and District Affiliated Synagogue where Andrew Rosindell MP and Julia Lopez MP gave a short speech. The reception was closed with a talk by Rosina Purnell, an ex-councillor of Havering Council and author of ‘The Past Was a Foreign Country – They Did Things Differently There’. Mayor of Havering, Councillor Dilip Patel, said “It was an incredibly important event that allowed us to pause and remember the millions of victims of the Holocaust and subsequent genocides in Cambodia, Rwanda, Bosnia and Darfur.